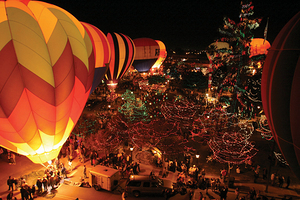 Glendale Glitter and Glow Block Party is the official end of the holiday lighting season of 1.5 million lights spread through Historic Downtown Glendale. 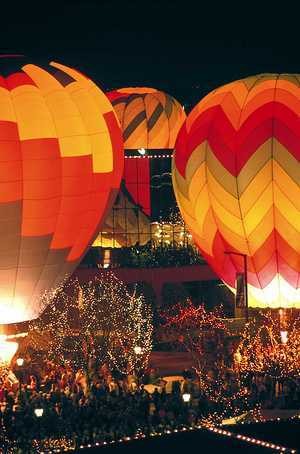 We take holiday lights to a thrilling new level with over two dozen hot air balloons located throughout the streets of downtown Glendale, over a dozen bands and street performers stretching for blocks in all directions around Murphy Park. 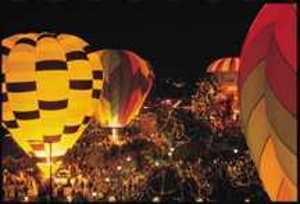 This event has a dizzying array of sights, sounds, tastes, smells and fun!